WHAT IS YOUR POSITION AT THE CLUB? I’ve got quite a few positions at the club to be honest! I’m currently the founder, chairman, manager, striker and all time leading goal-scorer and appearance maker of the club. In the remaining time I have left in my life, my day job is that I’m a 26 year old doctor working for our beloved NHS! WHAT IS YOUR FOOTBALL HISTORY/EXPERIENCE? I came up with the idea to start the club four years ago when two groups of mates from school who often played football together thought it was time to take things to the next level. 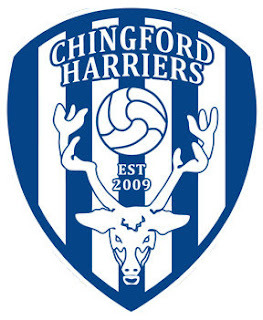 We settled on the name Chingford Harriers FC, made Low Hall Farm pitches our fortress and went about trying to tackle the bottom (2nd) division of the Ilford and District League (IDFL) 2009/10 season with a squad of 16 (a number which has seemed to remain about the same throughout). Trevor Diner (the father of our star centre back Alex Diner) took the job of managing the team which he ended up staying in for four seasons before handing over to myself and Nick Shawyer (former captain and joint all time leading goalscorer) at the end of last season. A special mention should also go to Scott Prestedge, our goalkeeper and joint all time leading appearance maker, who runs our website. Our first season end with defeat in a cup final and end of season heartbreak, as we lost our grip on the league title in a final day defeat. Following that promotion, the following season saw us finish in a respectable mid-table position in the 1st division but it was to be cup final nightmares again as we lost our second final in two seasons. The 2011/12 season was a bit of a forgetful one for us as we once again finished mid table in the league and didn’t progress very far in our cup competitions. However, fortunes for the club turned last season! Having found ourselves pushed to the Premier Division by the league due to re-structuring it was sink or swim. The team battled to finish just above the drop zone in the Premier Division and secured a few top scalps along the way. However, it was our League Cup run which provided our fairytale ending as we finally secured our first piece of silverware at the third time of asking with a hard fought 2-0 win over Eastside Rangers FC at Wadham Lodge. The other love of my footballing life is Arsenal FC and as well as supporting them through thick and thin, I’m part of the Arsenal in the community team which gives me the opportunity to coach football to kids from local schools around the Islington area where I currently live. WHAT ARE THE AIMS OF CHINGFORD HARRIERS THIS SEASON AND BEYOND? Despite the change in manager (Trevor being replaced by myself) and captain (Nick Shawyer being replaced by Dave Birchnall), personnel in the squad has largely remained unchanged. With silverware finally under our belts, I hope we can play more of the confident attractive football that we are so well known to play amongst the IDFL community. The club has high ambitions and further solidifying our status as a Premier Division side in the IDFL with another decent cup run is our goal for this season. Looking beyond, I’d have to say that if the squad continues to improve as it has done over the last 4 years, the Essex Olympian League should not be too far off! Without doubt there are two players who spring to mind. Chris Amor has excelled at pretty much every level of football he has played at from a young age. His skill, vision and comfort/calmness on the ball are second to none. He would easily have the ability to play at a higher level. The other player is Alex Diner. Alex is mild mannered, well-educated and polite off the pitch but a colossal centre back on the pitch. Nothing fancy but very rarely will a striker have their way with him and that shows as he has twice been named player of the season. He’d be an asset to any team at a higher level. WHO ARE CHINGFORD HARRIER'S MAIN RIVALS? I guess I’d have to say it’s Chingford Athletic although it’s a bit hard to say that when we’re playing in the Division above them and have won more silverware than them in the last few years! WHO ARE THE BEST TEAM THE HARRIER'S PLAYED LAST SEASON? East London Academy FC. They walked the league last season and will definitely go onto bigger and better things fast. WHAT WOULD BE CLASSED AS A SUCCESSFUL SEASON FOR YOUR CLUB? A top four finish in the Premier Division and good cup runs that end with another piece of silverware in the trophy cabinet if I’m being greedy! BEAUTIFUL FOOTBALL OR THE RESULT THAT COUNTS? My view on this has evolved over the years. Many of teams who have faced us will agree that we are a team that try to keep the ball on the floor and play attractive passing football. Sometimes we have maybe stuck to that principle too rigidly and not adapted to the bigger, more physical teams. However, last year showed that we have added that part to our game too as we had to win dirty and hold on to results a few times, especially in our fight to stay above the drop zone in the Premier Division. WHAT PREMIER LEAGUE MANAGER WOULD YOUR PLAYERS DESCRIBE YOU AS? Well as a massive Arsenal fan I’m hoping they’d say the great Arsene Wenger but I don’t think they would! A more likely candidate is Paulo Di Canio as I’m very, very passionate about the club and have no problems in showing that. I can be a moaner and I’ll go on at people but if it gets results then I’m not too bothered about annoying a few people along the way! 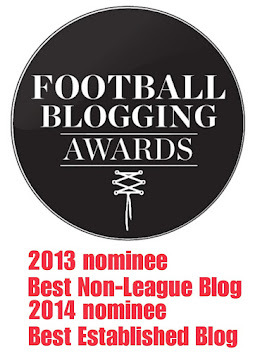 MUCH HAS BEEN WRITTEN ABOUT REGARDING THE STATE OF GRASS-ROOTS FOOTBALL IN ENGLAND. HOW WOULD YOU IMPROVE THE GAME? We have a rich and proud history of grass-roots football in this country and long may it continue. I think that the issues at the moment mainly revolve around funding. In the four years that I’ve been involved in club football, I’ve seen so many teams come and go - the financial aspect of things is one that is all too often forgotten. 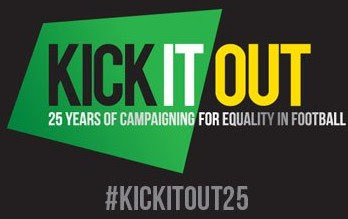 I would improve the game at grass-roots level by finding a way whereby teams would be given extra funding if they are able to include a fully functioning youth squad in their set up as this promotes a sustainability and longevity for clubs to thrive in the long term and also produce the talent of the future. 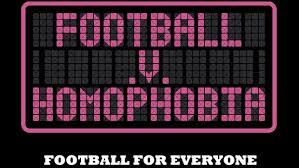 The Harriers start their 2013/13 IDFL campaign this Saturday with a trip to Forest United before hosting New Star Soccer on the 21st September and St Francis on the 28th September. They travel to the uniquely named 'Wanstead Hippos' on the 5th October. Good Luck to Edwin and the team this season. Chingford Athletic play in Division One after spending one season in the Essex Olympian League Division Three. The two clubs played a friendly last Saturday with Athletic winning 4-2.